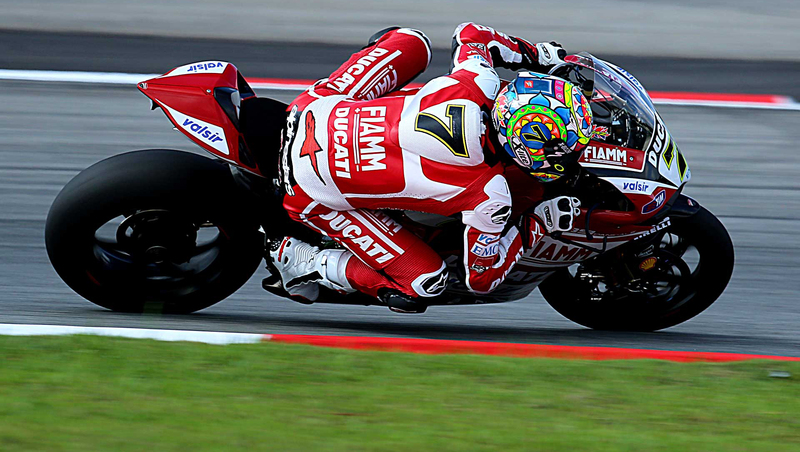 Motogear | WSBK; Lauzitzring, Germany: Wet weekend, but showers of good fortune fell on our Nolan-Group riders! 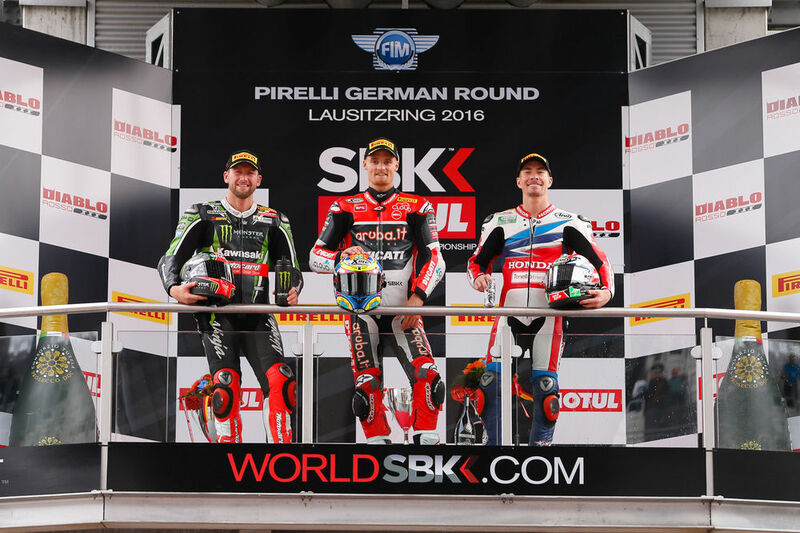 There’s a well known expression often used in the sporting world- ‘The harder the battle, the sweeter the victory’ and this was the case for Nolan-Group riders last weekend during World Superbike in Lauzitzring. The odds were against our pilots from the get-go due to uncompromising weather conditions, which naturally gives way to more complicated races. However in spite of these obstacles, our sponsored riders powered through to achieve victories and significant placings that were extremely gratifying for all involved. First of all, the long summer break didn’t make our X-lite champion; Chaz Davies, complacent, since he soared straight back into the championship by securing his 5th win of the season and beating his opponents by an overwhelming 10.5 seconds. It’s clear Davies is letting everyone know that he is a force to be reckoned with! Chaz Davies came 1st in race one and 6th in race 2- well done Chaz! Tati Mercado experienced similar fortune in Super Stock 1000, as he achieved a 1st place podium, and Xavi Fores achieved an incredible 3rd place podium during race 2 of Superbike. On-going research and continuous development has enabled Nolan riders, who wear X-802RR (with either the Nolan or X-Lite brand), to run each of their sessions of the weekend with total confidence. Zero misting and zero water infiltration have allowed our riders to focus exclusively on race. This means that anyone wearing a Nolan or an X-Lite helmet for commuting, for leisure or for a long touring run, can just focus on the road- in total safety.